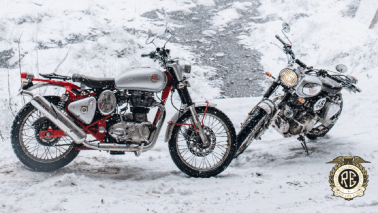 Live updates of the 2019 Lok Sabha election campaign. Phase 2 of voting is being conducted today. BJP announces names of 184 candidates from 20 states for the upcoming Lok Sabha elections. Narendra Modi to contest Lok Sabha elections from Varanasi seat while BJP President Amit Shah will contest from Gandhinagar, Gujarat. We promise to not send a farmer who defaulted on his loan to jail, said Rahul Gandhi. We promise to have two budgets, one national the other for farmers, said Rahul Gandhi. We will change Gabbar Singh Tax to GST tax, which is simple, straightforwards and a single tax, said Rahul Gandhi. 22 lakh governement jobs are vacant. We will fill those immediately on coming to power, said Rahul Gandhi. The NYAY scheme will go directly into bank accounts every month, said Rahul Gandhi. 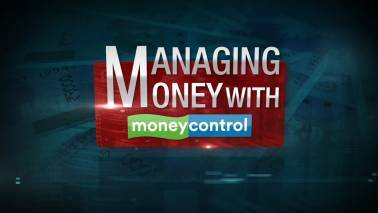 If Rs 35,000 crore can be deposited in Mehul Chokshi's account, then why can't money go into the most poor of India, said Rahul Gandhi. I told the economists that I want a number where I can put in 20 percent of the lowest poor of India, said Rahul Gandhi. The farmers of Chhattisgarh asked to forgive the loans, said Congress President Rahul Gandhi. They asked for the returning of tribal lands owned by Tatas in Bastar. He (Narendra Modi) promised to put Rs 15 lakh in everyone's bank account, but make me the Prime Minister first, said Congress President Rahul Gandhi at a public meeting in Bhilai, Chhattisgarh. When you will vote for the lotus, your vote will go directly to Narendra Modi's account, said PM Modi. The truth is that these people (Congress and their associates) have no sympathy for the Dalits, the poor, the backward classes or the middle classes, but it is to grab seats and they will divide communities, the nation even, said PM Modi. People have not laid a finger on our 1000 year old culture. But to appease their vote banks, the Congress has done this, said PM Modi. Congress has no vision for the country, said PM Modi. If the laws that protect our armed forces is repealed, then the stone pelters, who support terror, and the armed forces instead of fighting terror, will be forced to fight court cases, said PM Modi. BJP, NDA is the only party that works for the development of the nation, the pride of its people...we are the ones who say that army should be given a free rein, said PM Modi. The country is only strong if it is united. It can only be strong if its army is free to take its decisions, said Prime Minister Narendra Modi at a rally in Bareilly Uttar Pradesh. 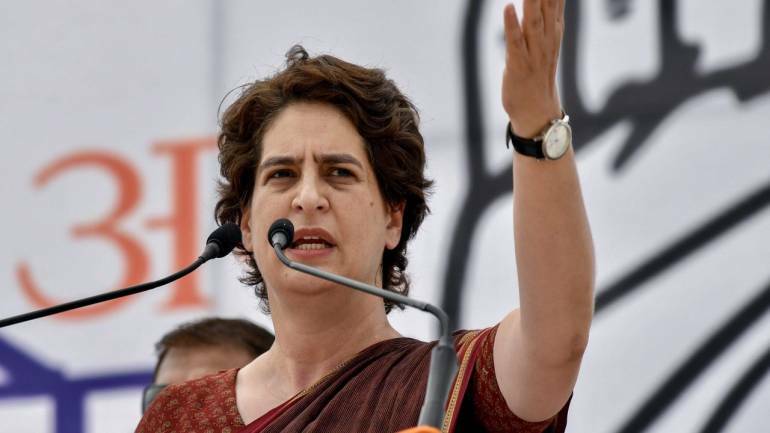 Congress president Rahul Gandhi will hold road shows in Amethi on April 22, a senior party functionary said here. 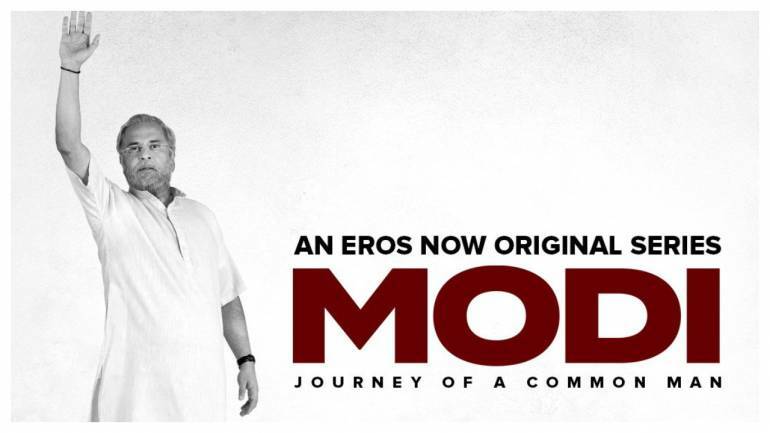 In its direction, the poll panel has cited its April 10 order, banning a biopic on Modi, to place a similar bar on the web series titled "Modi - Journey of a Common Man". JUST IN | BJP candidate from Badaun Sanghamitra Maurya has appealed voters for fake voting, CNN News 18 has reported. West Bengal Chief Minister and Trinamool Congress supremo Mamata Banerjee has said that Prime Minister Narendra Modi is suffering from 'haratanka', a phobia of losing elections and is trying to win in the state by dividing the people on communal lines. 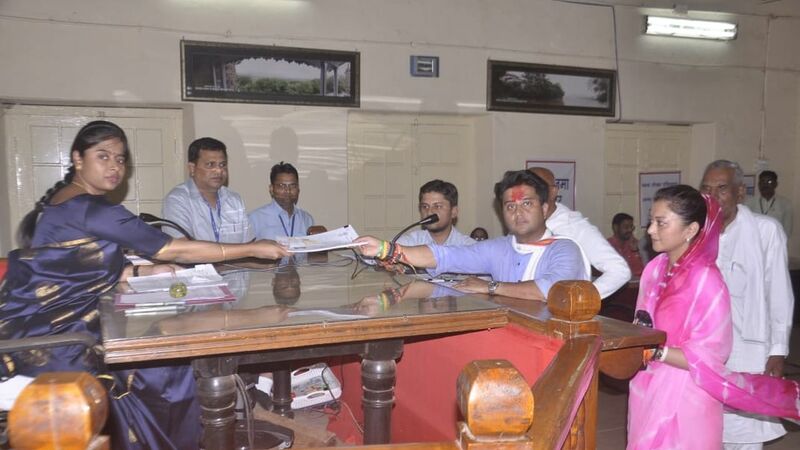 Congress leader Jyotiraditya Scindia filed his nomination from Guna constituency in Madhya Pradesh today. 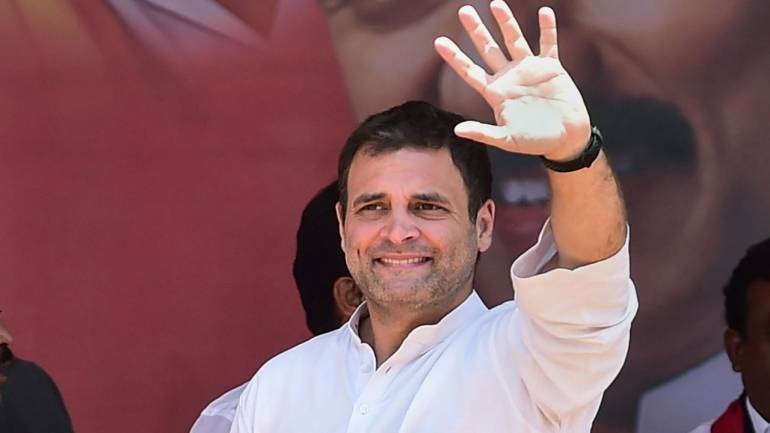 Amethi Returning Officer Ram Manohar Mishra has ordered the postponement of scrutiny of Congress president Rahul Gandhi’s nomination papers to April 22. An Independent candidate, Dhruv Lal, has filed a complaint alleging discrepancies in Rahul's candidature. "There are three basic issues we have raised," Ravi Prakash, who is Lal's lawyer, told ANI today. One of the issues he has raised is on the "basis of a certificate of incorporation of a company registered in the UK wherein he has declared himself a UK citizen," Prakash alleged. 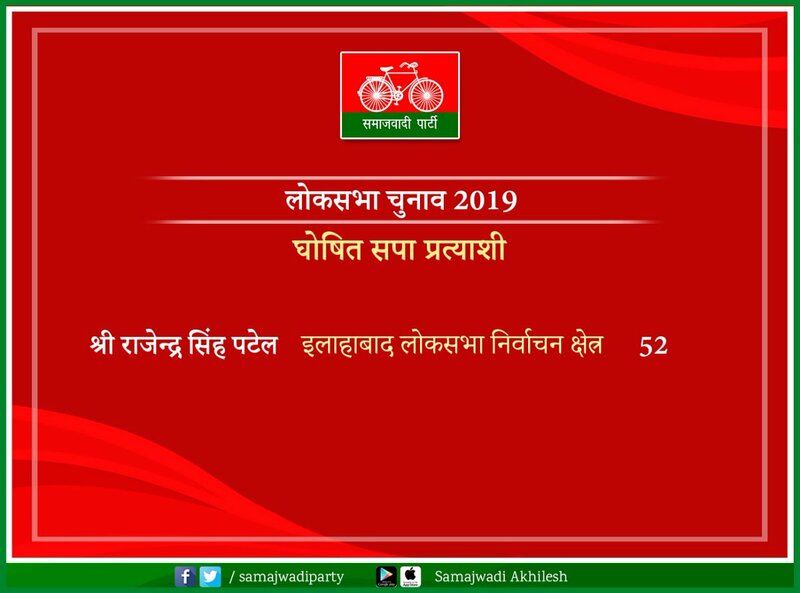 JUST IN | Samajwadi Party has fielded Rajendra Singh Patel from Allahabad Lok Sabha constituency.